DECLARATION Entrants enter and run this race assuming all risks associated with participating in this event including, but not limited to falls and contact with other participants. In consideration of your acceptance of these entries, entrants hereby for themselves, their heirs, executors, administrators or anyone else who might claim on their behalf, covenant not to sue, and waive, release and discharge the Fun Run organisers, its' servants, agents, or subcontractors, all instrumentalities, cities, state or councils where this event is held, and all sponsors, products, their agents, representatives and successors of all liabilities, claims, damages, costs or expenses which entrants may have against them arising out of or in any way connected with my participation in this event, including all injuries that may be suffered by entrants before, during or after the event. This release extends to all claims of every kind or nature whatever, foreseen or unforeseen, known or unknown. I grant The Victorian Baptist Fun Run, its representatives and employees the right to take photographs of entrants and their property in connection with the above-identified subject. 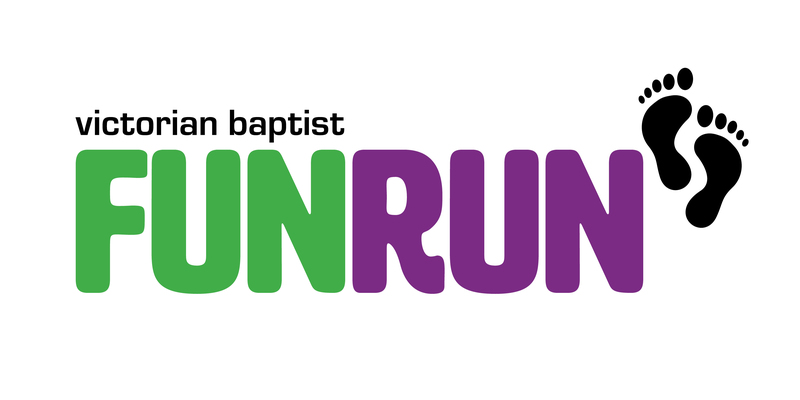 I authorize The Victorian Baptist Fun Run to copyright, use and publish the same in print and/or electronically. Entrants agree to the use of such photographs with or without entrants' names and for any lawful purpose, including for example such purposes as publicity, illustration, advertising, and Web content. All entrants have read and understand the above. 60% of fundraising can go to your recipient of choice. Who will this be? NOTE: All sponsorship forms MUST be presented at the Registration Desk on the morning of the Fun Run when you register to be eligible for sponsorship prizes.